After our lunch stop off at Meat Liquor, Alice and I hotfooted it over to Earls Court 2 for the opening day of the Vitality Show. I've been for the past few years and really enjoyed it, but this was Alice's first time so I wanted to see what she would make of it. 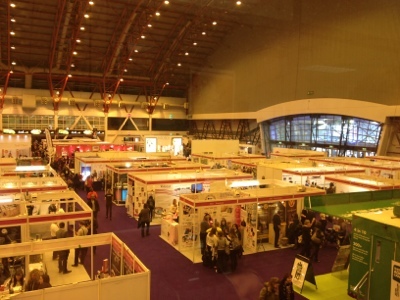 It's essentially a massive hall filled with lots of health, beauty and fitness stands. They also have talks throughout the day, plus free exercise classes that you can go along to. 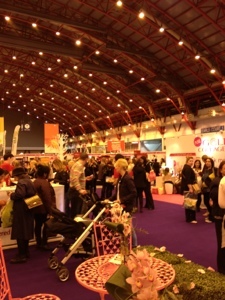 For those that bought VIP tickets, there was a big treatments section at the back of the hall - this year it was run by Neal's Yard Remedies. I love the wide range of brands that you find at Vitality. There are lots of natural skincare brands, including Green People, and Niki's Organic Balms to name a few. There's also lots of smaller, less well known brands to explore. These ranged from supplements to exercise equipment, right through to jewellery and bath bombs. 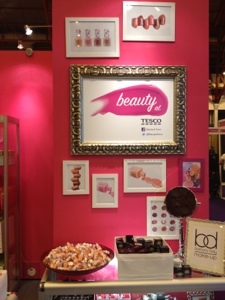 There are lots of free samples to try and goody bags to pick up. I dragged Alice to both the Zest magazine and Women's Health magazine stands as if you bought the magazine, you also got a bumper goody bag with it too. Everyone that attends gets a little show goody bag for free with some samples in, so if you're attending, make sure you pick one of those up! Shopping aside, I think my favourite section is the food zone. If you have allergies, like healthy foods or just want to try something new, they have anything and everything to try. Some of my favourites were there: Nakd and Peppersmith mints, plus I also tried some Baobab fruit drink (a little odd, but quite tasty). 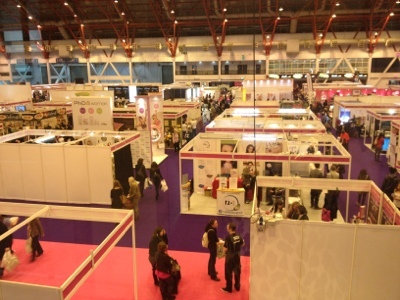 There were a few stands from last year that weren't there again which I missed - namely more magazines (love the goody bags!) and also the sausage man (I have no idea what he's really called). He had the most amazing sausages that were being cooked hot to order and after 3 hours of exploring I would've killed for one of those. Sounds like you had a very busy day! it was a bit hectic!